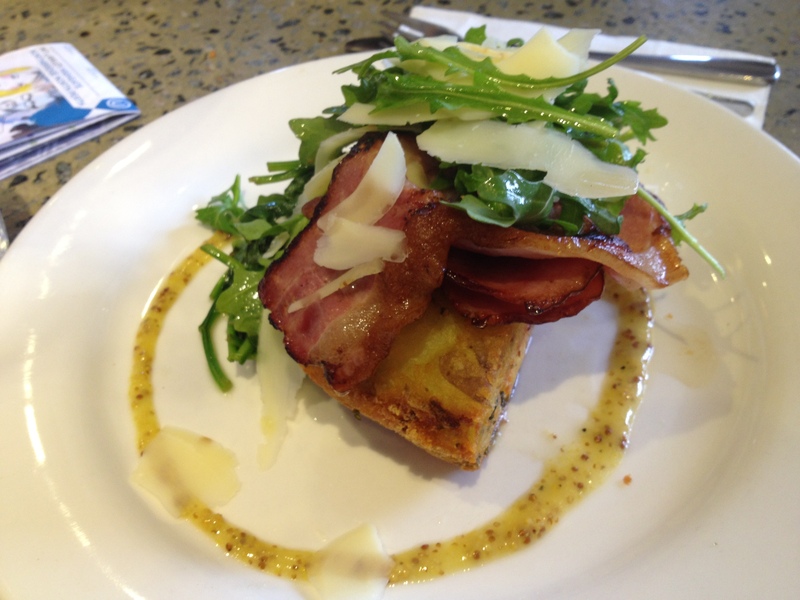 As I have mentioned before, Perth is famous for it’s breakfast, brunch or lunch cafes and restaurants. This time I catch up with two friends, Gen and Matt whom I have not seen for a while. We decided to catch up for breakfast at Sayers Sister. Sayers Sister is owned and operated by the same owner of Sayers in Leederville. When we arrived, the restaurant was quite full. (There seems to be a lot of early risers in Perth!) We were given a choice to wait for a proper table or sit at the counter. As hungry and excited as we were, we decided to sit at the counter in front of clear glass jars of candy and sugar. It was a tough decision deciding on what to order as everything on the menu looks good. After perusing the menu and making a decision, we placed our orders at the front counter. The atmosphere at Sayers Sister is nice and cosy although it was a bit crowded. 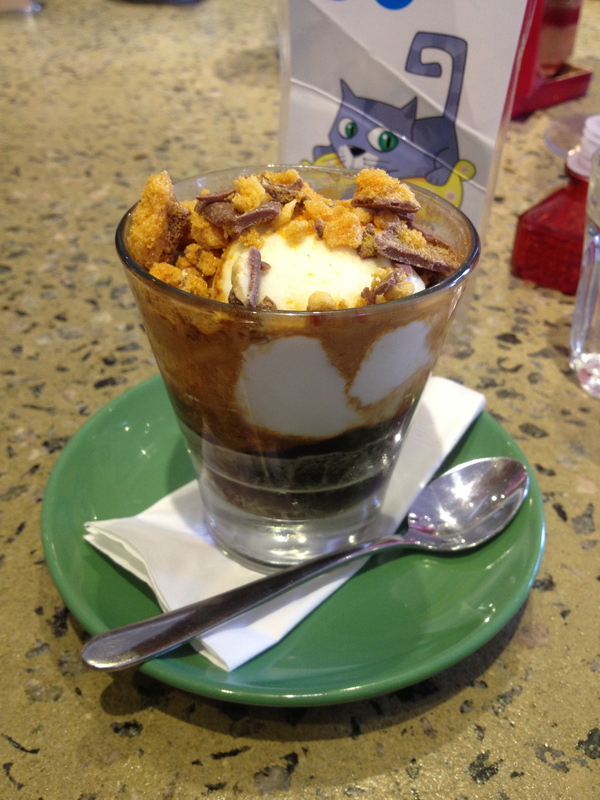 Not long after placing our orders, my Chocolate Honeycomb Affogato ($5) arrived. As most people know, I am not a big fan of coffee and the type of coffee I would usually go for is either a Mocha or Affogato. The Chocolate Honeycomb Affogato was really good and the vanilla ice cream, chocolate honeycomb and coffee together makes it a matchmake in heaven. Yum! There was a bit of wait for our food although we didn’t mind as the restaurant was quite busy which gives us a chance to catch up more. I ordered the Buttermilk Pancakes with Banana Toffee ($16.50). 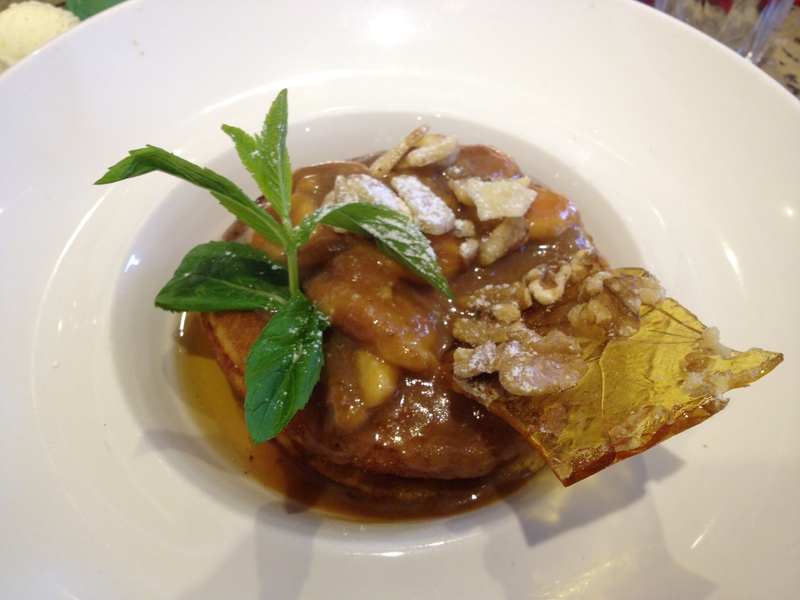 The buttermilk pancakes were really light and fluffy and the banana toffee blends well with the pancakes too. It was a really good breakfast dish although I have to admit that at some point of eating it, it was a bit too sweet but problem is solved when you take a sip of water. The pancake is a good dish for those with a sweet tooth or wanting something sweet to start off the day! 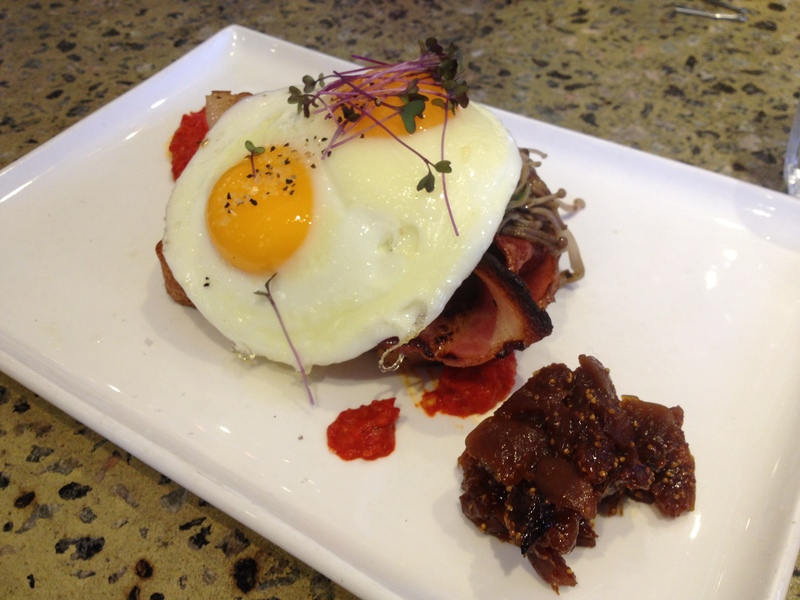 Gen ordered the Lemon Myrtle & mustard seed enoki, button, field, brown & oyster mushrooms, Bacon & fried egg on toasted brioche & plum chutney ($18.50) (Try to say it quickly!). According to Gen, she enjoyed her dish especially the brioche which she admits to being the best part of the dish! Although the dish had several good points, Gen didn’t like the chutney as it was too sweet. Matt ordered the Potato Rosti, poached eggs, bacon, onion jam, lemon scented wilted spinach ($19.50). Matt thought that some good points of the dish were the crispy-ness of the potato at the outside while retaining its soft texture in the inside. The sauce also complimented the dish very well and the spinach was tangy. However, Matt also found that the poached eggs were too watery. Overall, he enjoyed the Potato Rosti dish and thought that it was really yum! We really enjoyed the breakfast at Sayers Sister and had a great time catching up with each other. I highly recommend Sayers Sister if you are keen on having breakfast, brunch or lunch. Although the prices are a bit on the expensive side, it is the quality and taste of the food which makes it worth it. My verdict? Yes, I will definitely be back in the future! Sayers Sister has my vote.